Rediscover your love of winter in Algonquin Park, experiencing what it is like to live in a winter wonderland. Slow down to the quiet pace of winter, stay in a private forest cabin & enjoy guided winter adventures during the most magical time of the year. Guided Snowshoeing, Cross Country Ski, and Kick-sled Adventures will re-ignite your passion for the snow. Ice Skate on Kawawaymog Lake before enjoying a heartwarming meal from Chef Gregor. At night, step outside after basking in our rejuvenating sauna to experience a festival of stars and possibly bear witness to the northern lights at Algonquin Park. Taste hot chocolate around the stove or campfire and spend some quiet evenings away from the world while staying in your own private forest cabin. Your adventure is enhanced with outstanding candlelit meals served up by award winning chef Gregor. Adventure awaits this winter at Algonquin Park, Ontario Canada. All-Inclusive: Meals and snacks from arrival dinner to departure day lunch, studio cabin or habitat cabin accommodation, guided adventures and naturalist interpretation, all equipment for winter adventures including skis, kick-sleds, snowshoes, skates (limited ice skate sizes available). 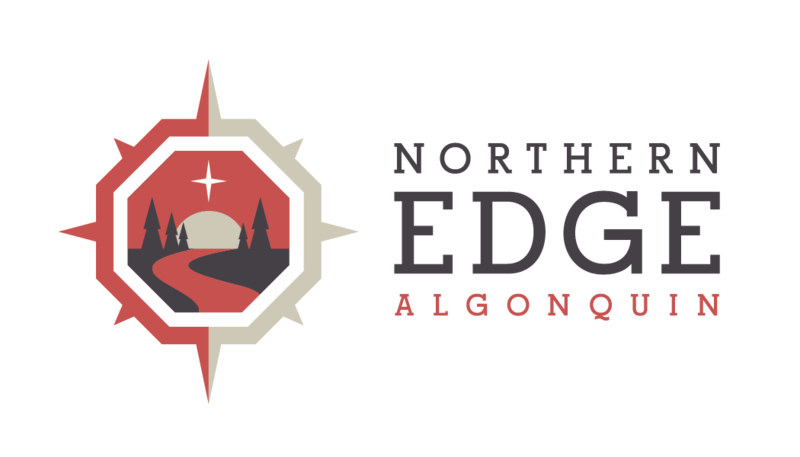 "We enjoyed every moment of our Making Tracks getaway to Northern Edge. From the incredible dog sledding adventure with Ed, to the wildlife sightings, snowshoeing, cross country skiing and jumping in the snow after luxuriating in the Finnish sauna, our adventure was amazing. We loved the "off the grid" appeal of the facilities (only solar power so don't expect the Hilton and there is no wifi) which was further enhanced by the glowing fireplaces throughout, the cozy slippers waiting to warm some toes, the rustic decor of the lodging." "Not even 3 feet of snow could stop us from experiencing the many treasures that exist in this neck of the woods of Ontario. We ate some of the best food I have ever had, were treated like royalty and slept soundly each night . . ."